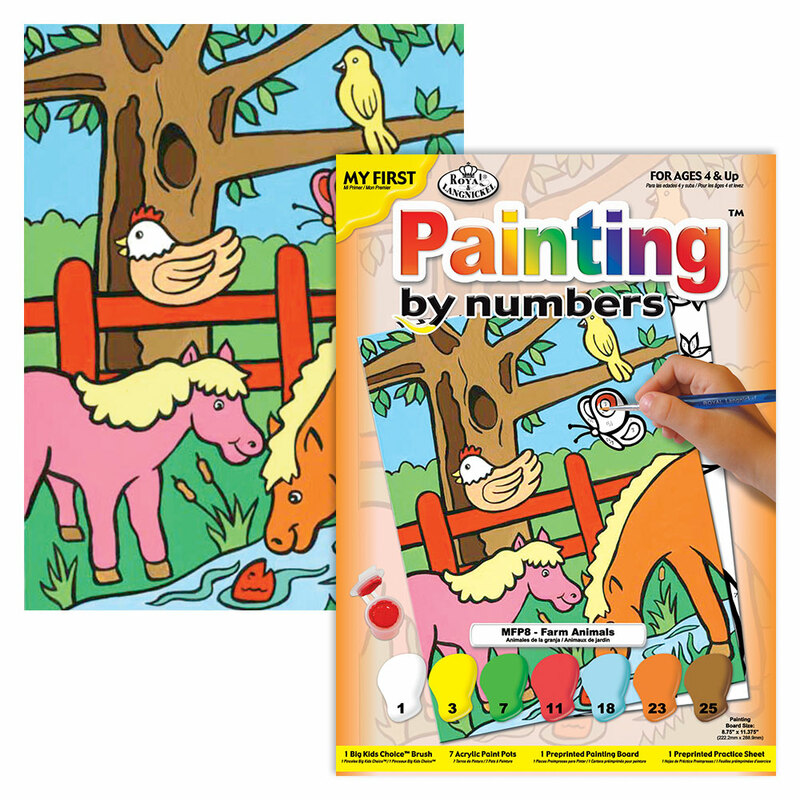 A lovely, simnple, painting by numbers set for your child to learn the skills of associating a certian number with a colour in a very creative way. Suitable for ages 4+, they will enjoy the creativeness of learnng to paint these lovely farm animals. In the set you will reveive the necessary paints, a brush and the printed picture. A finished product they can be proud of.